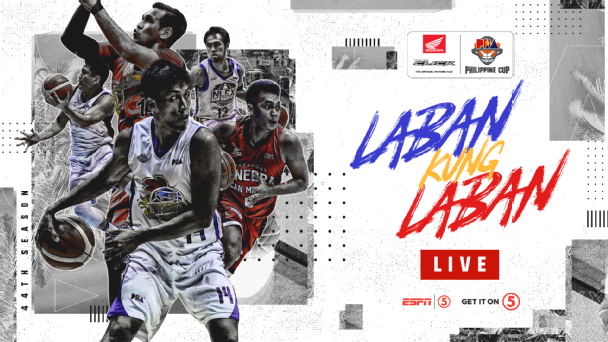 Watch the PBA Philippine Cup Elimination round between the San Miguel Beermen and the Blackwater Elite today, February 6, 2019 at the Mall of Asia Arena. Tip off at 7:00PM. The San Miguel Beermen entering this game with a record of 2W-3L and they're at the 8th spot in the standings. The SMB losses in their last 2 games against the TNT and Rain or Shine. Meanwhile, The Blackwater Elite coming to this game with a record of 1W-3L and they're at the 9th spot in the standings. The Blacwater Elite defeated by the Phoenix Pulse 95-114 last Feb. 1st. San Miguel 93 - Fajardo 20, Cabagnot 19, Ross 14, Nabong 7, Lassiter 6, Santos 4, Tubid 2, Lanete 2, De Ocampo 2, Mamaril 0, Zamar 0, Vigil 0. Blackwater 79 - Sumang 17, Digregorio 14, Maliksi 13, Javier 9, Tratter 9, Desiderio 4, Eriobu 4, Sena 0, Cortez 0, Palma 0, Dario 0. Quarters: 19-29, 44-41, 74-64, 93-79.